Scott's Web Log: Roche Social Media Summit Part 1: "We've Only Just Begun"
Roche Social Media Summit Part 1: "We've Only Just Begun"
I am woefully delinquent in sharing my perspective on the 2010 Roche-sponsored Social Media Summit which took place on the last few days of June and into early July. I'm a few months late, although I must admit, it took me a while to get my brain around what happened. Of course, it was a holiday weekend right after the event, and then my office relocated to Manhattan from the suburbs on July 3, so upon my return from the event, I had some serious unpacking to deal with at work (the good news is the view from my new office is pretty awesome, overlooking the Hudson River (see HERE for a pic I snapped with my phone). Since then, one of my colleagues at work left the firm, so I've assumed many of her duties (as well as my own), so free time for blogging and other social media has been pretty limited. That's likely to be the case for at least the next month or two. Anyway, with all of my excuses out of the way, I can finally share some perspective on the Roche-sponsored summit with you, my readers! Disclosure: Roche paid for my travel, lodging, and most of my food on this trip. Roche did not ask anyone to blog about the summit, nor did they pitch any products to us, but I have some perspective to share, and want to give acknowledgement where it's due, thus my reason for posting about it today. First, let me begin by noting that Roche selected just a handful of diabetes bloggers and a few notable others (such as Kitty Castellini and Charlie Cherry), both of whom are much more active in traditional media (specifically radio) than they are internet-based media. There were also a few individuals who don't fit into such a well-defined category, such as Brandy Barnes (Diabetes Sisters), who reaches out to women with diabetes. If I had to define her work, I'd probably say that her biggest achievement was really not in "new" media specifically, or even in media at all -- but an actual conference (the Diabetes Sisters Conference) that was actually years in development -- an old-fashion get-together (probably an under-statement, but as a guy, I wasn't privy to the event) where people with a common interest descended upon a venue and actually met face-to-face for a few days -- awesome! There's really nothing "2.0" about that, but was still quite a notable accomplishment and contribution to say the least! To be sure, all of these people have some presence online, but their contributions to the diabetes community is probably best associated with their offline presence. Depending on whose definition one chooses to follow, there are certainly hundreds, if not thousands of people in this collective space. In fact, Diabetes Living Today, which is a syndicated radio program, reaches into the millions nationwide. Keep in mind that this all kind of began over a year ago, when the Swiss pharmaceutical, biotechnology and medical device giant Roche reached out to a handful of individuals in the U.S. who were seen as thought leaders in this new, patient-controlled world of social media. Many Pharma companies have gone ahead and plunged into the social media space and bombed big-time! Novo Nordisk, for example, is a company whose 2009 Twitter campaign for Levemir with NASCAR racecar driver Charlie Kimball was rightly criticized for being "sleazy spam" (and those were kind descriptions!). (see HERE for more background on that). Roche was eager to avoid that debacle by asking questions before plowing into the social media space, thus the company had a social media summit at their U.S. headquarters in Indianapolis last summer (see HERE for my post on that event). "I decided to judge Roche on how they would deal with the loud, angry voices. I told myself that if the bloggers who were most vocal, most angry, most hostile to our hosts weren’t invited back, I’d know that Roche wasn’t serious." "As you might imagine, when I saw Chris 'Rock Star' Thomas in Orlando I gave him a huge bear hug. Both because I was happy to see him, and because his presence was proof that Roche was on the level. Roche is genuine. Roche really does want to engage with us. Complete with all of our baggage. It's the real deal folks. So to me, that was the big news from the summit, not anything that actually took place there." Now, for those of you who are reading this for the first time, at last year's event, there were some heated conversations about the price of test strips and some pointed criticism about how advertising for testing supplies features non-diabetic actors/actresses (even though there are millions of PWD's out there, undoubtedly some of whom are actors/actresses) and we also found it peculiar (or even offensive) that EVERY meter reading depicted in testing supply ads are in non-diabetic range. For those reasons, no one was really certain what would come of the event, nor were we sure we'd even be invited back! But as some of my peers have noted, Roche apparently did find the first meeting valuable, so the company decided to do it again, this year in Orlando. Orlando June-July 2010: a.k.a. "Diabetes Central"
This year, Orlando, Florida -- best known as theme-parks central, as home to Walt Disney World, Sea World, the Universal Orlando/Islands of Adventure theme parks, the Wet & Wild waterpark, the Holy Land Experience Christian theme-park, and countless others -- also played host to the American Diabetes Association's Annual Scientific Sessions, as well as the J&J/Children With Diabetes (CWD) "Friends for Life" (FFL) Conference (which is held in Orlando annually). The venue for this year's event was at the same hotel as the CWD FFL event was taking place. This year, Roche took a slightly different tact. Last year, they were getting to know us as a community, but now that they do to some extent, they decided to invite some guests from the American Diabetes Association (ADA) and the American Association of Diabetes Educators (AADE) to join those of us in the diabetes social media space. Both of these interactions really deserve their own coverage, so I will focus on the ADA first. I was asked by Roche to moderate the discussions with the ADA (and the AADE). The ADA actually had a panel of guests. I introduced the patient perspective of the ADA, which was primarily one of a professional association of doctors, for doctors that claims to represent the interest of people with diabetes. I also discussed the issue of transparency (financial and otherwise) and conflicts-of-interest policies, and finally also noted that there is an elephant in the room that certainly needs to be acknowledged: the Juvenile Diabetes Research Foundation (JDRF), which many in the type 1 community feel better represents our needs than the ADA has. Scott K. Johnson's "Scott's Diabetes Journal"
Karmel Allison "A Sweet Life"
Mike Hoskins' "Diabetic's Corner Booth"
Kerri Sparling's "Six Until Me"
Ginger Viera's "Living In Progress"
Lee Ann Thill's "The Butter Compartment"
Bennet Dunlap's "YDMV (Your Diabetes May Vary)"
Will, "Lee" or "Liam" Dubois (a.k.a. "Printcrafter") "LifeAfterDx--CGM Chronicles"
The biggest news from this year was that Roche invited some guests from outside the social media community, specifically the American Diabetes Association and also from the American Association of Diabetes Educators (each organization met with us separately, so I think it best to address the AADE in a different post). Today, I'll address the interaction with the ADA. Note that many were already in Orlando for the ADA's Scientific Sessions, which were held in Orlando a few days prior, and others were sticking around for the Children With Diabetes Friends for Life Conference. In any event, I was asked by Roche to introduce the "Social Media" perspective for each organization. The ADA sent a whole team of people. I introduced what I hope was good patient perspective of the American Diabetes Association, and that organization seemed to listen to the concerns expressed by the attendees and they responded to many (although not all) of the issues that were presented. If anything, the organization put on a good show, but whether that translates into progress remains to be seen. 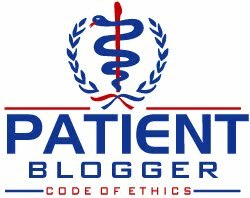 I think my d-blogging peers covered that pretty well in their blog posts (see above), and Amy Tenderich had some excellent follow-up from both the ADA and AADE, so I won't reiterate that stuff, as you have the links to most coverage already. But to cite an example of one issue that was raised by the social media community for the ADA: the looming shortage of endocrinologists. One of the diabetes social media participants (I believe it was Kelly Close) asked what, if anything, the ADA was doing (whether it is scholarships, or outreach programs, or something else) to try and make the field more attractive to medical students who are often drawn to specialties that pay much more, especially those assuming a mountain of educational loan debts to pursue medicine. While the organization was not really prepared for that question, they did explain some of the things the ADA does that hopefully help foster a welcoming environment for would-be endocrinologists in medical schools, including research grants. My take on that is that research grants are nice if you're already working in this profession, but do little to encourage medical students to pursue endocrinology as a profession. Clearly, they weren't prepared to answer this question. Besides, when I introduced the ADA, I mentioned transparency and how only 25% of the ADA's budget goes to research. The ADA told us themselves that they are not exclusively a research organization, making them quite unlike the JDRF in tha regard, but that also means the ADA doesn't award nearly as many research grants as the JDRF does, so that response did little to address the community's concerns about the lack of people pursuing endocrinology. Clearly, the ADA has more work ahead of it if they wish to really address this looming shortage. Bernard Farrell did touch upon the use of telemedicine if I'm not mistaken, but the organization did not address that specifically. I would like to hear about what the organization might be doing to bring access to endocrinologists in remote areas of the country. Most endos are in urban/suburban locations, but shouldn't they be looking at technology -- even something like Skype or TokBox and simple webcams to actually facilitate face-to-face interaction with a patient who might be hundreds of miles away? This is well beyond just being theoretically possible -- many are already doing it, but the ADA could certainly play a role in helping to bridge this type of accessibility gap to patients in more remote areas. Although the topic of remote medicine did not really surface at the summit, I still believe it is one idea that deserves some conversation in the future. Diabetes O.C. Tasked to Clean Up The ADA's Messes? Sara Nicastro (also known as Sara Knicks) commented on the "I hate the type 1/type 2 'fight'" (I'm not certain there is one, but many people responded to that). She stated that "no other disease fights with itself", and I just bit my tongue -- experience has taught me that there are some issues when it's just better to shut up. But in 2006, The New York Times actually ran a story about this very topic that addresses this very issue, and the article's title said it all: "Beyond "I'm a Diabetic," Little Common Ground" (see HERE or HERE, note that the latter is a downloadable copy available from the JDRF). But with plenty of time to think about it, I'd put it this way: breast cancer and prostate cancer are both cancers, but that doesn't mean they are even close to being the same disease. The same is true with lymphoma and all the other cancers. Yet no one ever confuses breast cancer with prostate cancer, yet they do so all the time with type 1 and type 2 diabetes, telling adults with type 1 diabetes that if they just exercised more or changed their diets, they could get off insulin (just like Halle Berry!) (see HERE or HERE), and one wonders why we don't always see eye-to-eye? If I didn't have to tell every well-meaning but ignorant idiot that I can't eliminate my need for insulin simply by hopping on a bicycle more often, I would be so incredibly happy! This confusion tends to fuel the opposite of unity. While there are similarities between the two diseases, it's a bit naïve to think we all have the same perspective or challenges. They are NOT the same disease, and we all face different and unique challenges in trying to manage it successfully. Much of the bickering from within is due to widespread ignorance perpetrated by a stupid media that is largely perpetuated by organizations such as the ADA, which uses every opportunity to talk about how much progress towards a cure has been made, even though the ADA is so often taking credit for work that was funded thanks largely to the JDRF, but hasn't actually contributed a dime (financially or otherwise) to the work that was done. The ADA has also further blurred the distinctions between the two for reasons that are unclear, many fail to understand how putting us all in the same group might actually benefit either group. Call it a learning process. For me, I get so f'ing sick of explaining the difference between the two types, and I don't think I should have to do so; it's not my job and I think organizations like the ADA have actually made the distinctions less clear, not more clear. "To understand why Type 1 parents feel so strongly, it helps to understand that in the world of diabetes, their children are the minority. Type 2 dominates the public view of diabetes. Often, part of that image is that Type 2 diabetics are at fault for their disease." Volunteers for the JDRF collect far more money per patient for type 1 diabetes than older and larger organizations that fight diseases with many, many more cases, including type 2 diabetes. Not surprisingly, many people with type 1 diabetes raise money for the JDRF, but not for the American Diabetes Association, with which the JDRF was formerly affiliated. More than half of the JDRF's annual budget, now over $100 million, is devoted to research to find a cure. Only the American Cancer Society and the American Heart Association, whose work affects vastly more people, spend more on research." By comparison, the ADA spends money on many issues, including advocacy. My own endocrinologist was working on behalf of the ADA to address a lawsuit involving someone who was denied a job promotion because of diabetes. This patient maintained excellent glycemic control, yet was denied the position not because of her qualifications, but because she had diabetes. But again, transparency would have addressed these issues, and if the ADA was more transparent about where it's money is going, there would be no questions about how the money is being spent. I have often felt that there should be a research organization dedicated specifically for type 2 diabetes, just as type 1 has the JDRF because there is evidence that the JDRF has indeed shifted the conversation, and treatment, of type 1 diabetes. Unfortunately, that is not the case with type 2, and patients end up paying for that in more ways than one. I don't mean to dwell on Sara's comment, but these are just facts. I actually DO believe that the social media community has made tremendously great strides in bridging the gaps in understanding between the two types of diabetes, but the bigger question remains whether this is (or even should be) our responsibility? Perhaps the American Diabetes Association should be doing more on this, after all, this organization has actually helped to create many of the misconceptions that exist among the general public. For example, they talk about progress made towards a cure, even though much of that progress was actually funded by the JDRF, and in the next statement, say something about how many people have diabetes and don't even know it. Trust me, there's no one with type 1 who doesn't know it. For the ADA to say both things is a very confusing, mixed message. I am involved in social media by choice, but I never volunteered to clean up someone else's mess (which I consider the confusion between type 1 and type 2 to be), and I'm not going to do so now. I make no apology for this, either. I'll close with some photos in the group's collection on Flickr. Closing Thoughts for the ADA: We've Only Just Begun! Anyway, in closing on the discussion with the American Diabetes Association, I'd like to do so with song (anyone wonder why I consider myself a "Gleek", an addict to the show Glee whose Season 2 begins tonight!) so let me just close with some music I see as a fitting summary to my overview of the Roche-ADA Meeting. The first is the original Carpenter's song that probably got a lot of play in weddings. It's a classic, to be sure, but beyond having to endure kids today wearing bushy hairstyles reminiscent of the 1970's, I prefer the version from the 1990's tribute/remake album "If I Were A Carpenter" which is a bit more modern. Although Sonic Youth got most of the press for that album, Richard Carpenter wasn't a huge fan of their version of "Superstar", and frankly, I liked some of the other tribute/remakes a bit better. One of those is Grant Lee Buffalo's version of "We've Only Just Begun" below! My hope is that the ADA will hold true to their words, but I guess only time will answer that question definitively. I'm over at a fellow diabetic friend's house visiting and we were looking at your blogsite and both agreed that it is one of the best around. Thank you so much for your thorough firsthand report here, links included in it, and your always excellent blogsite in total. Because of your hard work diabetics everywhere are better off. You are the real diabetes superhero! Ambre Morley from Novo Nordisk. Your characteristic of our use of Twitter with Charlie Kimball is not quite how we see it, as Twitter is only one small element of the much larger, Race with Insulin campaign. There were several follow ups to the article you posted and I'd like to share with you the overall diabetes awareness campaign that we think has had a big impact. Please let me know at abmo at novonordisk.com if you'd like to discuss.